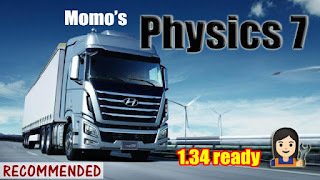 Euro Truck Simulator 2 Physics 7 Full mod has been updated to version 1.1! *Reduces the maximum cabin roll angle (as suggested by a real life truck driver). *Differentiates between older and newer truck models by increasing front suspension softness of newer models by 25% (as suggested by a real life truck driver). You will find these newer models to be a little bit softer than older models in some situations. This brings the game to another level of realism. This mod aims to be natural, realistic and close to real life truck as much as possible. No mods can fix the SCS road surface too smooth problem. When you drive with this mod you have to keep in mind that SCS roads are unrealistically smooth. So there is no way that your truck will bounce all the time like on real life roads. Most other physics mods make your truck shake too freaky and insane. This mod makes sure that your truck responds naturally and realistically to each bump, corner SCS offers. All 8x4 models are intentionally made harder suspension to prevent the nose dipping too low. This mod includes its own unique air seat. You don't need to use her Air Ride mods. But if you don't like the included seat, you can use any of her Air Ride mods with this mod by placing the Air Ride mod higher. Her Air Ride mod will replace the seat automatically. Compatible with 1.34.x & 1.33.x game version.  Important Reminders: This mod works best with the default value of "g_suspension_stiffness" and "g_truck_stability" if you have adjusted those values before, please make sure you reset them to default before you play with this mod. For the SCS new MAN Euro 6, this mod only supports 4x2, 6x4 and 8x4 to prevent game crash. So if you buy the new MAN Euro 6, do not buy with 6x2 or 6x2/4.